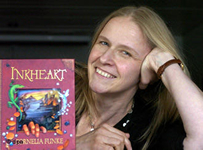 Cornelia Funke writes for children. She lives with her family in Los Angeles, California, in a house full of books. Visit her website. Here’s the Inkheart movie website. Inkheart — (2003-2008) Ages 9-12. 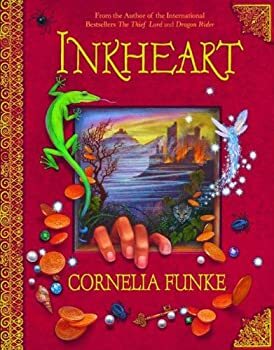 Publisher: One cruel night, Meggie’s father reads aloud from a book called Inkheart — and an evil ruler escapes the boundaries of fiction and lands in their living room. Suddenly, Meggie is smack in the middle of the kind of adventure she has only read about in books. Meggie must learn to harness the magic that has conjured this nightmare. For only she can change the course of the story that has changed her life forever. This is Inkheart — a timeless tale about books, about imagination, about life. Dare to read it aloud. I have to admit that I've found Cornelia Funke's works for the most part to be wonderful concepts whose execution never quite matched their potential. Dragonrider I thought was her most successful work so far, mostly because it didn't reach quite so high. With Inkspell, however, Funke has finally meshed concept and execution together perfectly, creating her best piece of work so far. One thing I love about summer vacation is that my 12 year old daughter Tali and I have time to read together. 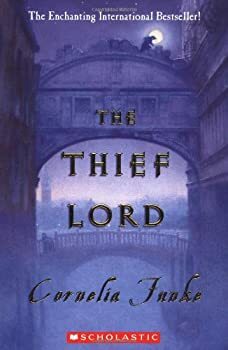 Our first book for the summer was Cornelia Funke’s The Thief Lord which, as Tali was thrilled to learn, takes place in Venice, a city she visited a couple of summers ago with my parents. Dragon Rider is an early Cornelia Funke novel brought to the U.S. after the success of hermore recent The Thief Lord and Inkheart. 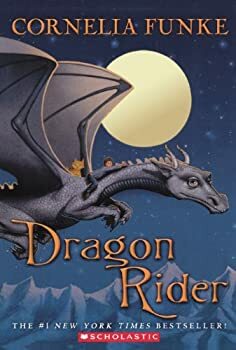 Dragon Rider begins with a young dragon named Firedrake who starts off on a quest for the Rim of Heaven, a possibly mythical land where Firedrake and his fellow dragons hope to flee to in order to escape encroaching mankind whose earth-moving machines are on their way. 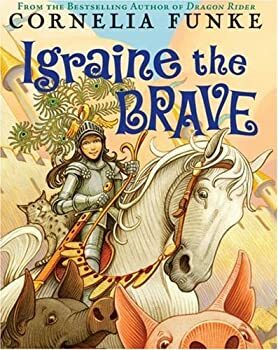 After finishing The Thief Lord, my daughter and I wanted to read more Cornelia Funke (pronounced “FOONK-ah”) so we picked up Igraine the Brave, a short novel that we listened to in audio format. 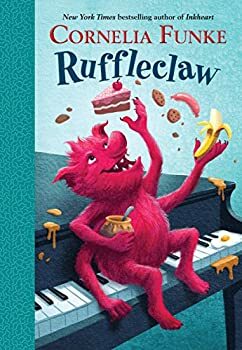 Ruffleclaw is a chapter book (114 pages) recently written and illustrated by Cornelia Funke, the German author and artist whose books (e.g., Inkheart, The Thief Lord, Dragon Rider) are loved by children and adults around the world. Ruffleclaw is translated into English by Oliver Latsch. I listened to the audio version which is read by the author and is just over 1.5 hours long. When Santa Fell to Earth — (2006) Ages 9-12. Publisher: Scared by a storm, Twinklestar, the least reliable reindeer, bolts — causing Santa and his sleigh to crash-land. And though Santa has dropped into a friendly neighborhood, he’s not safe: Jeremiah Goblynch, the ruthless new leader of the Council of Yuleland, is determind to put an end to children’s wishes and turn the holiday season into his own personal moneymaking scheme. As the last REAL St. Nick around, only Santa stands between Goblynch and his grinchlike plan. With the help and hope of kids Charlotte and Ben, Santa must face Goblynch and his Nutcracker goons to save Christmas! Ghost Knight — (2011) Ages 9-12. 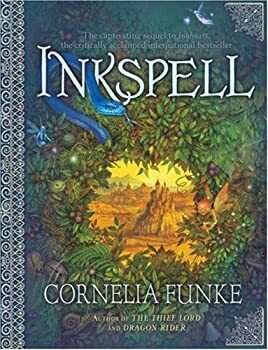 From international phenomenon Cornelia Funke, the bestselling author of Reckless and Inkheart. Eleven-year-old Jon Whitcroft never expected to enjoy boarding school. Then again, he never expected to be confronted by a pack of vengeful ghosts, either. And then he meets Ella, a quirky new friend with a taste for adventure… Together, Jon and Ella must work to uncover the secrets of a centuries-old murder while being haunted by terrifying spirits, their bloodless faces set on revenge. So when Jon summons the ghost of the late knight Longspee for his protection, there’s just one question: Can Longspee truly be trusted? Young Werewolf — (2013) Ages 8 and up. Publisher: Fun supernatural tale. Matt is returning home from the cinema when a yellow-eyed monster bites his hand and his whole world – and body – changes. Helped by his best friend Lisa and teacher Mrs Ruskin, they have just two days to find a cure before the curse takes hold forever! Particularly suitable for struggling, reluctant and dyslexic readers of 8+.